A strange thing happened to me after I had kids. I’ve always loved to travel but having babies somehow transformed me into an anxiety-ridden mess every time I boarded a plane. So much that it was tempting to just stay home. 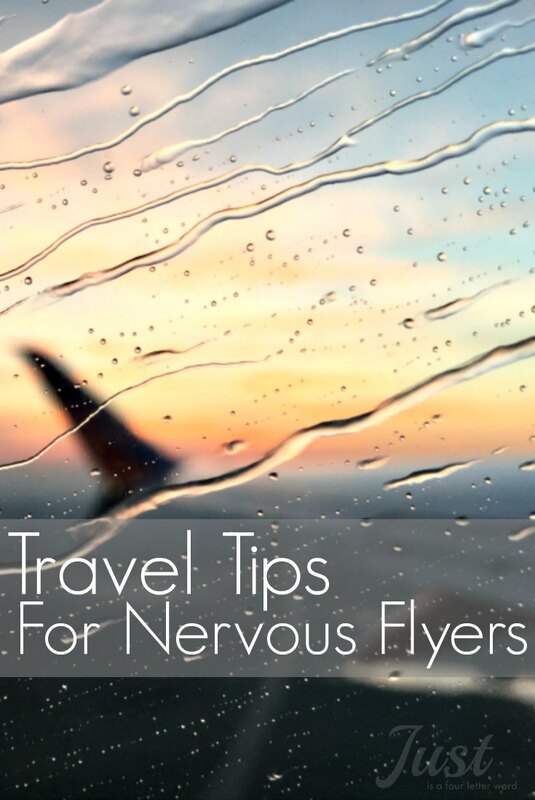 But as I started reading more about nervous flyers, I knew there had to be a way to deal with it. Over time, I finally became more comfortable with air travel again. I’ve traveled both domestically and overseas more than once in my life and I love exploring so these unwanted nerves were something that had to be dealt with. Many people will tell you to take medication or buy a drink to just get through it, but I didn’t want to just get through it. I wanted to learn what it was that I was afraid of and try to kill it at the root. I thought about what ultimately made me calm down and I wanted to share my secrets in case you happen to know any nervous flyers. I promise you, each one of these techniques has helped me and I guarantee I am using them in the air as you read this. Han Solo may not want to know the odds, but I found that when it comes to commercial air travel, it really helps me to know that mine is not the only plane in the air. In fact, there are thousands of flights in the air globally at any given moment that are taking off and landing just fine. And you know what is really fun? Tracking them! Check out Flightradar24 for real-time air traffic information. Make sure you zoom way out to get the full effect. Feeling small yet? I also love watching our flight tracker when on the plane. It gives my brain something to do trying to figure out what I am looking at. Of course, space travel is another story so I guess I’ll leave Han out of it. I had a short layover in Las Vegas on my way home from Phoenix last year. I’d never been to Vegas before so I had no idea what to expect. Our descent was the worst 20 minutes of flying I had experienced in a long time. My fear was through the roof and I spent my entire layover reading about what turbulence really is and if planes can fall from the sky (TL;DR they can’t). This article was so immensely helpful that I have referred to it several times in the months since. I’ll never be a pilot myself, but a little bit of knowledge goes an awfully long way when it comes to combatting irrational fears. I can work with that. Science! Ok, this one is debatable, but if your schedule is flexible, why not? In my travels around the internet, I read that turbulence is pretty closely related to hot air, so if you really really can’t hang with a bumpy flight, your first line of defense is to avoid flying in the hottest part of the day. That flight to Vegas I mentioned earlier? You guessed it; right smack in the middle of the afternoon. Add that to the mountainous terrain and you have a recipe for one bouncy landing. I try to book my flights in the early morning on the way to my destination, and in the evening when I return. An added bonus is making the most of my travel days with more time at my destination! What’s all this? Well, it’s about that pesky little fact that we don’t have control over everything that happens to us. True story. This one is a toughy for me as a mom because I want so badly to protect my family and by extension, myself. I’ve shared my little mind-trick before and I’m telling you it really works! Go ahead, try it. 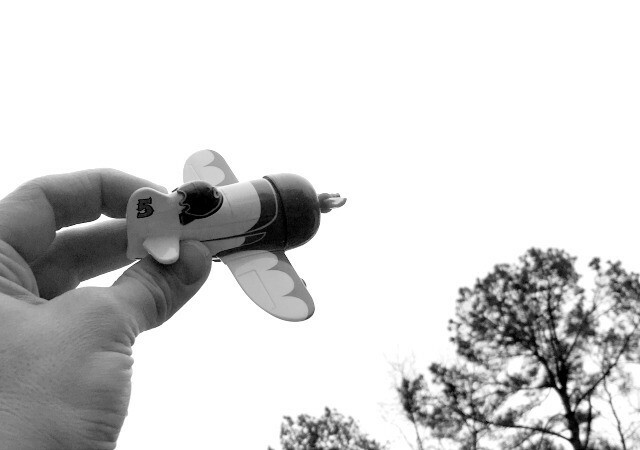 I sit back in my chair, close my eyes and imagine that I am in a toy plane being held by a giant hand. The plane goes up and down and all around and I can feel all of that movement. But the hand doesn’t drop the plane. The hand gently sets the plane down when it’s time to land, much a like a child would when playing. Not the voices that are telling you all the different ways you can die on this plane. I’m talking about actual human voices. Voices are a great distraction because they aren’t rhythmic. I think one of the main reasons I am so sensitive to turbulence is because my body is very sensitive to motion. I got carsick as a child, I love to dance and “let the music move me,” so when the plane is rocking and rolling, I actually think I feel it more intensely than others. I’ve tried reading and listening to music as a distraction, but here’s why those methods of distraction don’t work for me. When it comes to music, like I said, I’ll start to feel it. My mind latches onto the rhythm and everything is fine. But then if turbulence hits it’s so far out of sync it actually makes things worse. Reading isn’t quite as bad, but with a book I am acutely aware of every sound around me. It’s a completely and uncomfortably high-tension situation. The best way I’ve found peace while flying is if I am traveling with someone and we can have a real conversation. The rhythm of talking and listening has much more variety than music and it’s a great way to pass the time! This works if you travel with others. I don’t really recommend chatting up the stranger next to you. If you are traveling alone, a great podcast gives the same non-rhythmic distraction and who knows, you might even learn something! Whether you’re flying because you want to or you have to, the bottom line is, you can do this. Arm yourself with a few tools, a great podcast, and a positive outlook. You’ll be back on the ground in no time! Now it’s your turn! Where are my nervous flyers? Tell me your strategies for keeping your cool in the air in the comments below! Vegas is notorious for being a terrifying place to land. What I tell myself is that I don’t doubt the physics that keeps a boat floating in water so why mistrust physics that keeps a plane up in the sky. Also, watch the flight attendants if you can. If they don’t look panicky, then no need for me to panic. That is such a great point about boats. I never even worry about that!